As a result of a trade embargo during World War 2, Japan invaded Malaya, its invasion simultaneous with its attack on the US Navy at Pearl Harbor. Although the Japanese were outnumbered in Malaya, a combination of superior war strategies and poor defensive tactics by the Allies meant that within 70 days after the invasion, Singapore was captured by the Japanese. 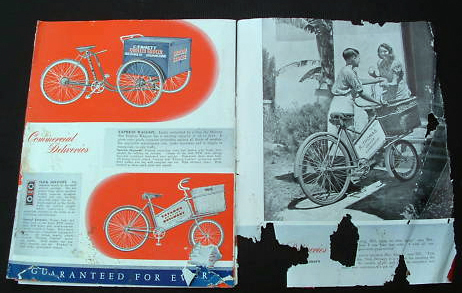 The Japanese advance through Malaya was accomplished at a much faster rate than the defenders expected because of their use of bicycles (below). This use of bicycles by the Japanese troops is often quoted as the most successful military campaign involving bicycles in wartime. The Japanese commander Yamashita and his bicycle-riding infantry pedaled south, toward Singapore, at a rate of 20 miles or more a day—more like light cavalry than infantry. Each man carried either a rifle or light machine gun over his shoulder as he pedaled along, and slung his ammunition and equipment over the handlebars or in a backpack. When a bicycle broke down, the men would simply take another from villagers, either snatching it outright or looting it for spare parts. Riding a bicycle miles every day in the tropical sun made short work of tyres. Whenever they burst, the troops rode on the rims. To the British, already unnerved by both jungle warfare and constant retreats, the clatter of hundreds of steel bicycle rims sounded like tank tracks. Believing that a column of tanks was bearing down on them, British and Commonwealth troops would often abandon their positions and fall back yet again—spooked by men on bicycles. Malvern Star started in a small shop in Melbourne in 1902. 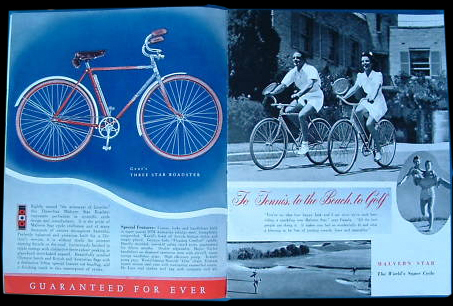 By World War 2, it had become Australia’s leading cycle company. 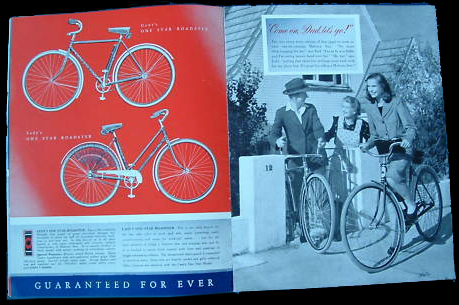 Most of their bicycles were built using imported components; but after war broke out in 1939, with a shortage of all imported goods, they started manufacturing their own. Defence contracts helped the company expand and, at its peak after the war, Malvern Star had 115 stores with 1,000 dealers. With military ‘arrow’ markings on the (off-side) rear dropout above the serial number and at the top of the near-side (left) seat stay, this military Malvern Star is a rare survivor. It’s fitted with a coaster brake, similar to the British military Mk V model. The front forks are braced, and the steering head has two stars, like Malvern Star’s utilitarian civilian models. 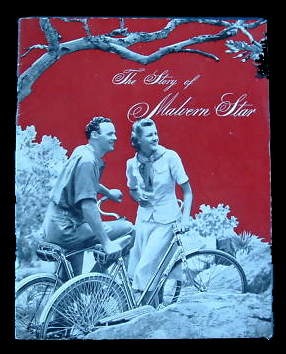 (The top of the range civilian Malvern Star had five stars). Its catalogue illustration is shown below. A BSA (Model 40) saddle and BSA handlebar grips are fitted; though used on wartime British military bicycles (along with Brooks saddles), they may not have been available in Australia at the time. Below is a 1942 Malvern Star catalogue. 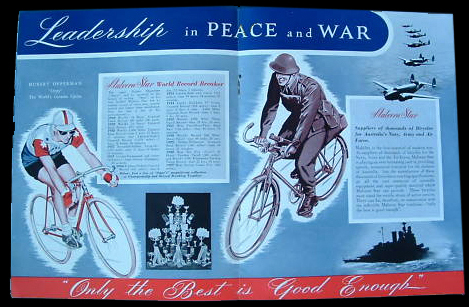 I particularly like the page advertising ‘Speedy, economical transport for the defence of Australia’ which shows a cyclist wearing a tin hat being pursued by bombers.